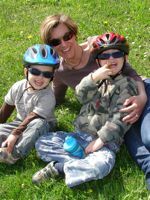 I am a mother of two wonderful, exuberant boys, currently aged 7 and 9 years old. I am British but have lived abroad since 2002 in various places in Europe and the USA, following my husband's job. Although always a reader myself, I started to get really fascinated by reading and books after my first son was born. My parents had always told me proudly how I could read before I started school - they had taught me with flashcards. After my first son was born, my parents sent me a book about this method of teaching reading, suggesting it might be something to try with my son. I read the book and found it fascinating, but I wanted to find out more. After several hours of internet searches I was more confused than ever. Clearly there was a raging debate underway about which method was best for teaching your child to read and, indeed, whether you should be attempting to do it at all. 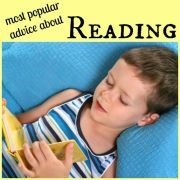 I decided to dig deeper and the more I read about children and reading, the more interested I became. As I began to understand more about this complex subject, and navigate my way through the different viewpoints, I started to think that there must be other parents like me who were also finding the whole area confusing and somewhat daunting. That was when the idea first came to me to create this website to share all of the knowledge I had gathered, in a straightforward and impartial way. I soon realised, however, that just focusing on learning to read was too narrow. Just as important as teaching your child to read is helping them to understand what they are reading and motivating them to read. What is the point of your child being able to 'read' the words on a page if they do not understand what they are reading, or they have no desire to pick up the book in the first place and start reading. So this website is all about your child and reading. 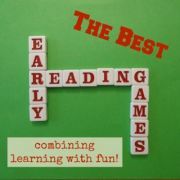 It is about teaching your child how to read, or supporting them at home while they are taught to read at school. 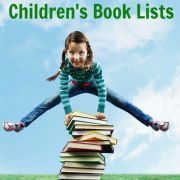 It is about finding great books to encourage them to read. 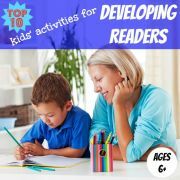 And it is about helping them to really understand what they are reading and so get the most out of each and every book, magazine or newspaper. 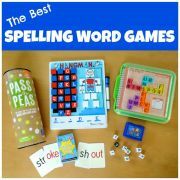 Throughout the website you will also find lots of games and activities to make sure that the learning always stays fun: simple, practical ways of reinforcing your child's literacy skills. I like to think of this website as providing advice from one informed parent to another. I am not a teacher or a librarian … in fact I used to be a project manager (which does help somewhat when trying to get the kids out of the door in the morning, but doesn't have an awful lot to do with reading!). However, I have by now read a great deal on this subject, and I have also had the very practical experience of supporting my children along their road to reading. 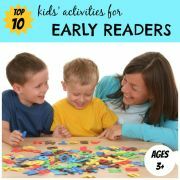 I hope you enjoy reading the information on the website and that it helps with your child's reading adventure. Please do contact me and let me know what you think.